There are several ways to save money on a log cabin, primarily through careful design long before construction begins. The frugal log home owner can slash their costs and instead use the money they save to upgrade key areas such as kitchen countertops, installing an outdoor room, using a nicer grade of hardwood flooring or building a stone fireplace. The primary cost factors in building a log home revolve around the size and complexity of the floor plan. Along with this go the choice of building materials, the level of finish work, the location and site conditions of the build, and understanding how your log home systems work together. As you can see, the choices made early on in the process will have a major impact on the overall cost and you can save money with informed, thoughtful decisions. The first major factor is the overall size of your log home floor plan. Many people read log home magazines and get the idea that log homes must be huge lodge-style mansions. In fact, even a modest size log cabin can feel large inside with an open floor plan and cathedral ceilings. Think carefully about how much space you really need. The most expensive option is to build a full, finished basement. You can save money by deferring some of those costs and not having the basement finished immediately. A cheaper alternative for a foundation would be a crawlspace, although if you have to go any deeper than about 4 feet for your crawlspace it’s probably more efficient to go ahead and put in a full basement. The cheapest route is to set your cabin on a concrete slab but this is determined by your site conditions (see below). The best way to save money on log cabin home design is to keep it simple. Keep the footprint small and use a design with 4 corners. Corners cost money and it’s cheaper to build up rather than out. Roof ridges and valleys also cost more. Anything that complicates the build will cost more than you imagine because all the elements are so closely inter-related. For example, adding a bump-out or extra corner means more excavation, careful forming before pouring concrete, extra concrete, a longer time framing or laying logs for that area, a more complex roof line to frame and a harder roof system to install. You can cut costs by not insisting on exposed rafters and joists. Cabin roof systems using exposed rafters must be carefully engineered and the costs rise dramatically. You can still have the same effect by adding beams and logs inside the cabin that add character without relying on them for structural support. Your choice of building materials has a major impact on the cost of your log cabin. This seems obvious but many times people lose sight of the way that seemingly small costs can add up. For example, the choice of building an entire window wall of glass sounds great, but the cost could be exorbitant in comparison to using 3 or 4 fixed glass windows to achieve nearly the same effect. You can save money on the upper story of your log cabin by using conventional framing and installing log siding instead of using solid logs all the way. No one will be able to tell the difference and you will save money that you can put to use somewhere else. Every cabin needs a fireplace, but a full masonry fireplace will set you back ten or twenty thousand dollars and require a full solid foundation beneath it for support. Instead you can frame a fireplace, install a fireplace insert and face it with cultured stone for much cheaper. Carefully shop around for building materials. Go on-line for great selection and competitive pricing for items such as lighting fixtures, door knobs and fans. Utilizing optimal value engineering techniques increases energy efficiency along with reducing building costs by reducing material needs. It also saves money in the long run by cutting down on thermal bypass inefficiencies. A great way to save is by hiring a general contractor early on in the process. 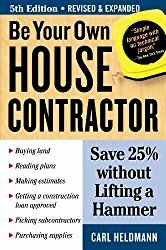 A good general contractor can point out ways to save money that you may not notice and s/he will be able to advise you on different approaches to issues that arise. Contractors have built up relationships with local sub-contractors and are able to get deliveries on time and at a good price. 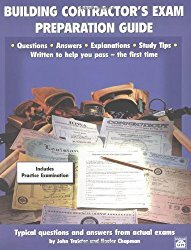 you are extremely well-organized and able to plan ahead for worst-case scenarios. 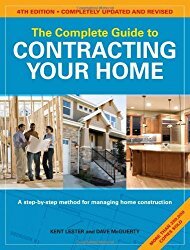 If you can handle the pressure of a tight schedule with your money on the line, the various issues that arise when dealing with multiple trades and the legal ramifications of following contract specifications you can save as much as 20% of the overall cost by acting as your own general contractor. Educate yourself by reading books and magazines from our virtual library, visit a log home show and connect up with the larger log home community to ask questions and get advice. 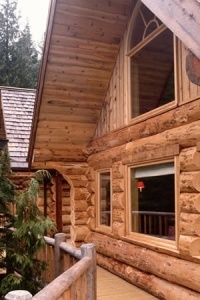 The level of finish you choose for your log home has a dramatic effect on the overall costs. For example, you could choose to install drywall on some interior walls and paint them to add a punch of color inside your cabin and you would save money over wood tongue-and-groove. If you insist on a Jacuzzi tub versus a standard tub or even a fiberglass tub/shower insert it will cost you more. You can reduce costs by installing stock kitchen cabinets instead of having custom cabinets built. Use that extra money to personalize your log home with rustic cabin decorations such as antler cabinet pulls, interior deer sconce lights and iron railings; or an elegant kitchen with granite countertops. Keep your interior trim and finishes simple to reduce costs. One of the joys of a log cabin is the unadorned, rustic style that emphasizes the inherent beauty of simple wood over complex finish details. One area where you can save money early on is your choice of where to build your log cabin. If you choose a remote area with poor access it will cost you more to bring in materials as well as to install utilities. The location of your build site also dictates the site conditions. If you want to build on a steep hillside or in an area with a lot of rock or unstable soil, be prepared for large excavation and foundation bills. It may even be necessary to blast a foundation area clear of rock. Some very steep areas may require a sub-basement under the basement to establish the foundation and only a relatively flat area will allow you to save money by using a concrete slab for a foundation. Snow loads may be increased in higher elevations and this creates cost issues with a more carefully engineered cabin roof design to handle the weight. Many people want long-range views high on a mountain-top but these lots can come with the higher costs of road construction, materials delivery, excavation and even insurance if there is difficult access for local fire departments or emergency services. Building a log home in an established development will often be the best way to save money on your location since the roads, power, water and telephone services are already run in and the costs split among the other lot owners. Careful planning and design can save money on your log cabin every step of the way. It’s worth investing a little more money up-front with a good architect, log home company or even log home design software to establish a carefully thought-out design that will satisfy your log home dreams without overstepping the budget.